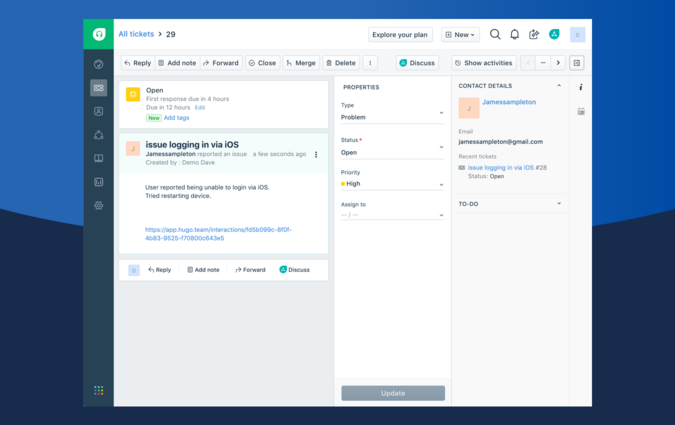 Hugo is the common platform for Freshdesk teams to save and share meeting insights in real time. 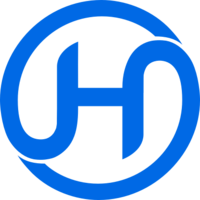 Hugo is a common platform for teams to save and share meeting insights in real time - so that everyone can stay on the same page. Your team can now take and share meeting notes which are centralized for your business, shared with teammates who weren't in the room and turned into tickets, tasks, and updates in your team's favorite tools. It’s free for small teams, simple to use and powerful enough to run your entire business. 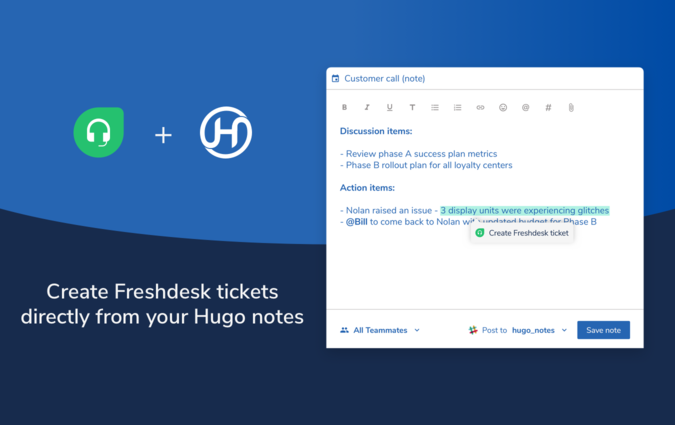 Connecting Hugo to Freshdesk enables your team to create Freshdesk tickets in one click, right from your meeting notes! Hugo prompts team members to take meeting notes. 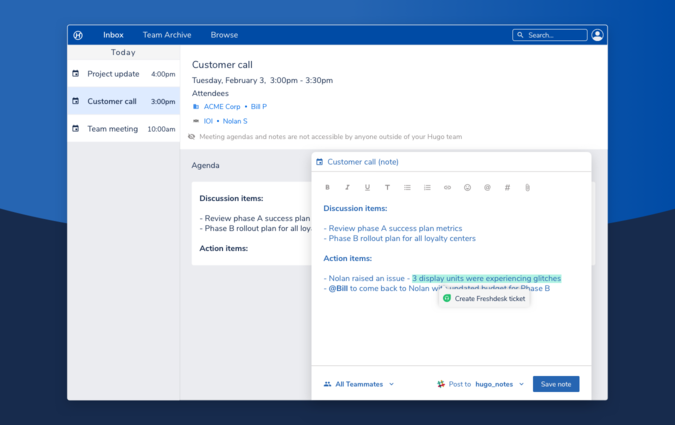 Meeting attendees can highlight any part of the meeting note and turn it into a Freshdesk ticket - in one click. That way, support agents have the full context when providing support and the whole team stays on the same page, whether or not they were in the meeting. You will now see the Freshdesk button for one-click actions when highlighting parts of your note. When creating a Freshdesk ticket from Hugo, it will automatically select the meeting attendee who matches records in your Freshdesk account.